Mold growth is not something you should take lightly. If you have mold growing in your Maumee area home, you’ll want to have it removed as soon as possible. Mold will only continue to grow under certain conditions and can cause damage to your home. Not to mention that anyone in your household that has respiratory problems or allergies can be negatively affected by mold. 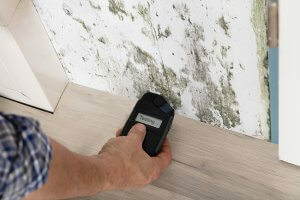 Black or green spots – Mold has a black or greenish appearance that’s pretty easy to identify if it’s growing out in the open. Musty smell – Mold doesn’t always grow where it can be easily seen. It’s not uncommon for mold to grow behind the walls or under the floors in crawlspaces. However, you can often tell if there’s mold growing nearby by the musty scent that it gives off. 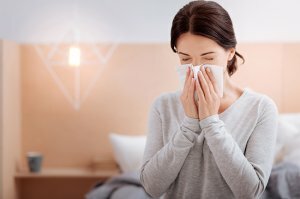 Health issues – If anyone in your home is having health problems that include a runny nose, chest tightness, nasal congestion or more, and the doctor suggests that it could be related to mold growth, then there’s a good chance that is what the problem is. Water stains – If you spot any water stains on your ceiling, it means that there’s a leak somewhere. Wherever a leak occurs, there’s an increased risk of mold growth since mold needs moisture to grow. Leaking roof – Leaks in the roof introduce moisture to the attic, which can cause mold to grow in that area. Go up to your attic and check for leaks regularly. If you spot a leak, you’ll need to look for potential mold growth as well. 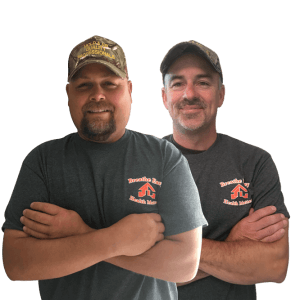 If you think that you might have mold growing in your Maumee home (or you know that you have mold growing in your home), then you’ll want to hire someone to come remove it. Removing mold yourself is generally not the best idea, not only because you won’t want to breathe it in while you remove it, but also because you may not remove all of it, especially if its hidden from sight. 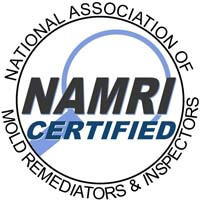 A mold remediation service will do a thorough evaluation of your house in order to figure out exactly where mold is growing. They will also determine what the source of the mold is so that you can take steps to prevent further mold growth (for example, if it’s caused by leaking pipes, you can schedule a plumber to come fix them). A mold remediation service in Maumee will also make sure that spores don’t accidentally spread during cleanup through the use of negative air chambers. They can even remove spores from your indoor air through the use of air filtration techniques. Once the mold has been removed, they will speak to you about what you can do to prevent further mold growth from occurring. 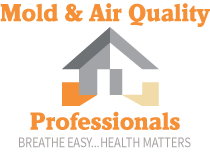 Here at Mold & Air Quality Professionals, we have established ourselves as one of the best remediation services in Maumee, OH. We have built a reputation for the quality of our work as well as for our customer service. For example, instead of charging a flat rate or a minimum quote, we charge on a case-by-case basis, which means you won’t end up having to pay for work we didn’t do. Additionally, we offer mold stain removal services, all-natural botanical remediation and a service warranty for our work. If you need professional mold removal in Maumee, OH, contact us at Mold & Air Quality Professionals for a free quote today.